The Faculty and Administration of Jonesport-Beals High School proudly announce the class parts for the school year 2017-18. Valedictorian is Ivy Robinson, daughter of Patricia and Michael Robinson of Addison. Ivy is a member of the National Honor Society receiving many academic accolades. 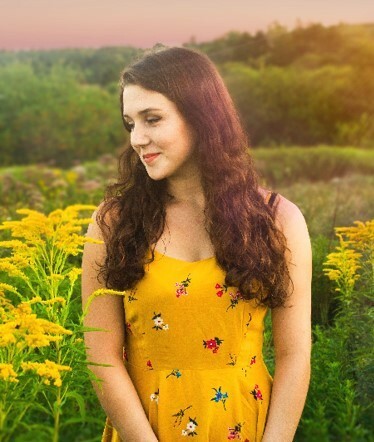 She has displayed many leadership qualities at J-BHS serving as the class president, and representing J-BHS at the Maine Youth Leadership Conference since 2016. She was also selected as the DAR Good Citizen Award candidate. Ivy has participated in the Jonesport-Beals sports programs participating in soccer, basketball, and softball. She has captained in all three, and received the DAC Award for soccer. As a school leader and positive role model for J-BHS, Ivy is a member of JMG, the drama club, and serves as a mentor for elementary students. Ivy plans to attend the University of Maine at Machias where she has earned a sports scholarship in soccer. She will be studying in the Elementary Education program. Salutatorian is Carol Smith, daughter of Samantha & Franklin Smith of Jonesport. Carol is a member of the National Honor Society and has received numerous academic awards. She has been very involved in class activities and was a Dirigo Girls’ State Delegate. Carol has participated in Cross Country where she was a 3-time Captain and DAC All-Star. She has also been a very active member of the drama productions and the mentoring program. Carol serves the community as a volunteer for the Jonesport Fire Department. Carol plans to attend the University of Maine at Machias where she has been accepted in the Secondary Education program. The class history will be given by Rachel Phillips, daughter of Andrew and Tammie Phillips of Jonesport. The class prophecy by Rana Turchi, daughter of the late Estelle Beal of Jonesport and Brad Turchi of Joneboro. The class will by J-Lynn Beal, the daughter of Jannell and Roger Beal, III of Beals. The class gifts by Luke Wilson and Jordyn Alley. Luke is the son of Brenda and Nick Wilson of Beals. Jordyn is the daughter of Bobbie Jo and Allan Alley, Jr. of Jonesport.